Thread: Late Bronze Age J2a1 found 1110-1270 B.C. Ludas-Varjú-dűlő, Hungary. "The genomic stasis of the Neolithic is subsequently interrupted during the third millennium BC coinciding with the onset of the Bronze Age. Our two Bronze Age samples, BR1 (1,980–2,190 cal BC) and BR2 (1,110–1,270 cal BC) fall among modern Central European genotypes. Within this period the trade in commodities across Europe increased and the importance of the investigated region as a node is indicated by the growth of heavily fortified settlements in the vicinities of the Carpathian valleys and passes linking North and South26. 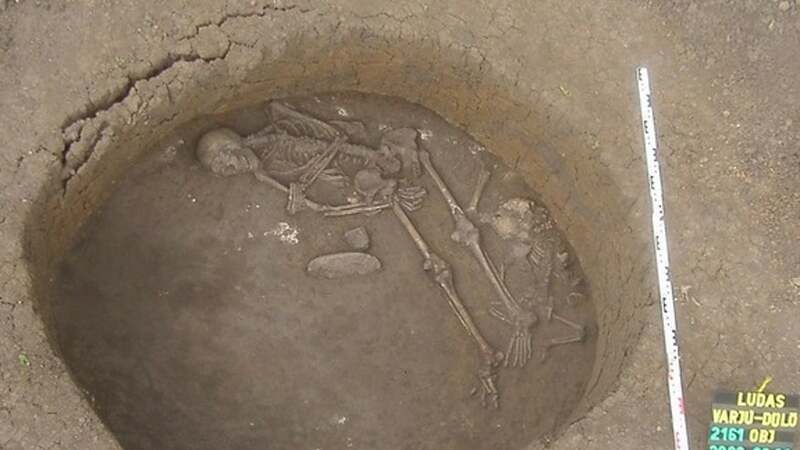 These two Bronze Age genomes represent the oldest genomic data sampled to date with clear Central European affinities." Genome flux and stasis in a five millennium transect of European prehistory. Table 1: Result summary from 13 Hungarian petrous bone samples. Foxnews - Ancient human skulls reveal when Europeans could drink milk. Yes this individual belonged to what is called the Kyjatice culture. I could find some information on this culture on the net but not very much really at least when it comes to it's spread in Hungary.